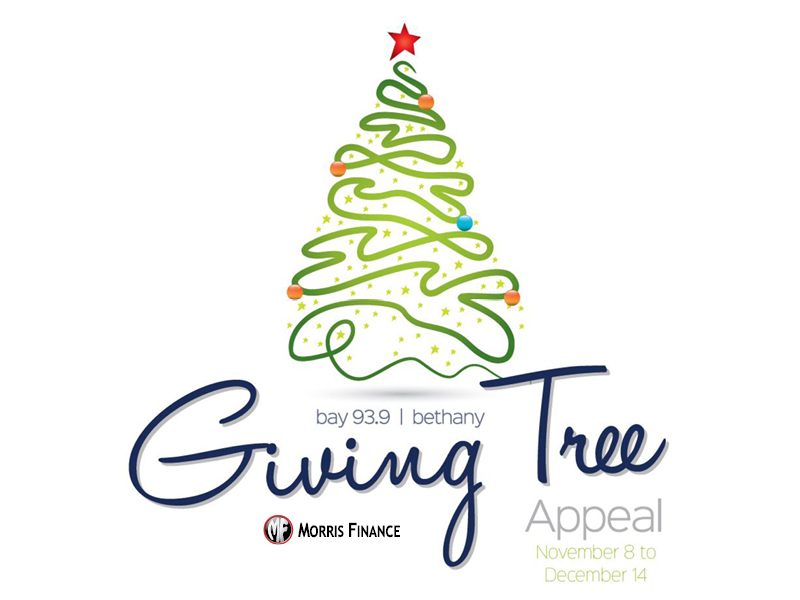 This year Morris Finance have partnered with the Bethany Giving Tree Appeal, an initiative everyone can get involved with. Share in the spirit of Christmas by placing a gift under the Morris Finance Christmas Tree placed in our Reception area. Financial pressures and loneliness can make Christmas a difficult time for many people in our community, you can help spread some Christmas cheer by donating a gift under our tree. You can make a donation of a gift for a boy, girl, man or woman which will be delivered to a person or family in need in time for Christmas. Please note that we cannot accept donations of used or second-hand items, perishable food or toy guns and knives. Donations will be collected up until December 14th 2018. Please keep all donated gifts unwrapped, they will be collected on a weekly basis so that they can be distributed to disadvantaged children and families in the Geelong region. All gifts will be collected for distribution by Bethany Community Support. For all enquiries please forward them through to tiffany@morrisfinance.com.au or call 03 5223 3453. Our office is located at level 2, 237 Ryrie St Geelong VIC 3220.